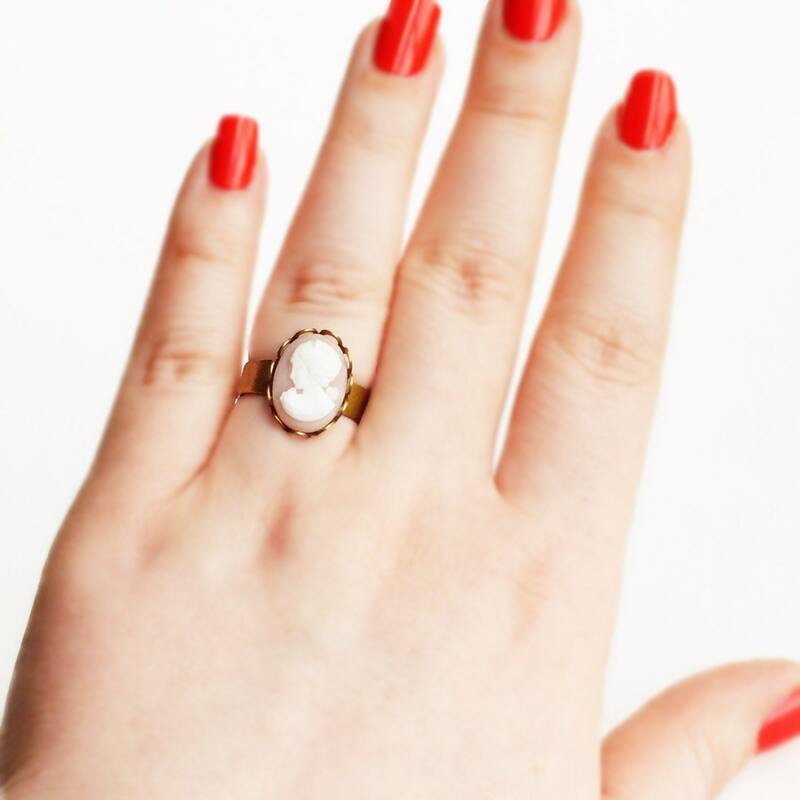 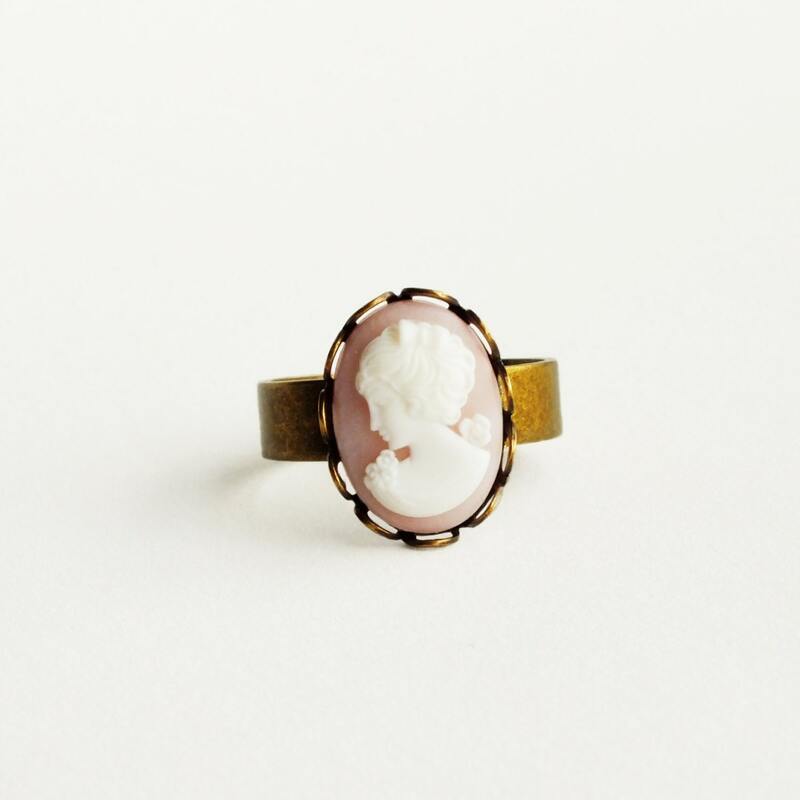 Handmade pink cameo ring with vintage cabochon and adjustable brass ring. 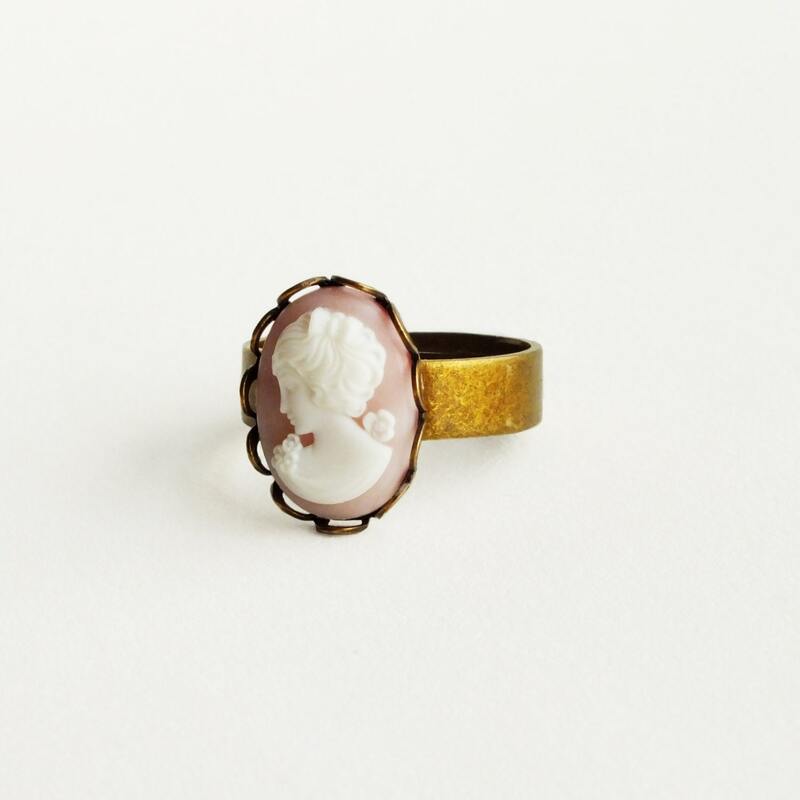 High quality nickel free antique brass ring. 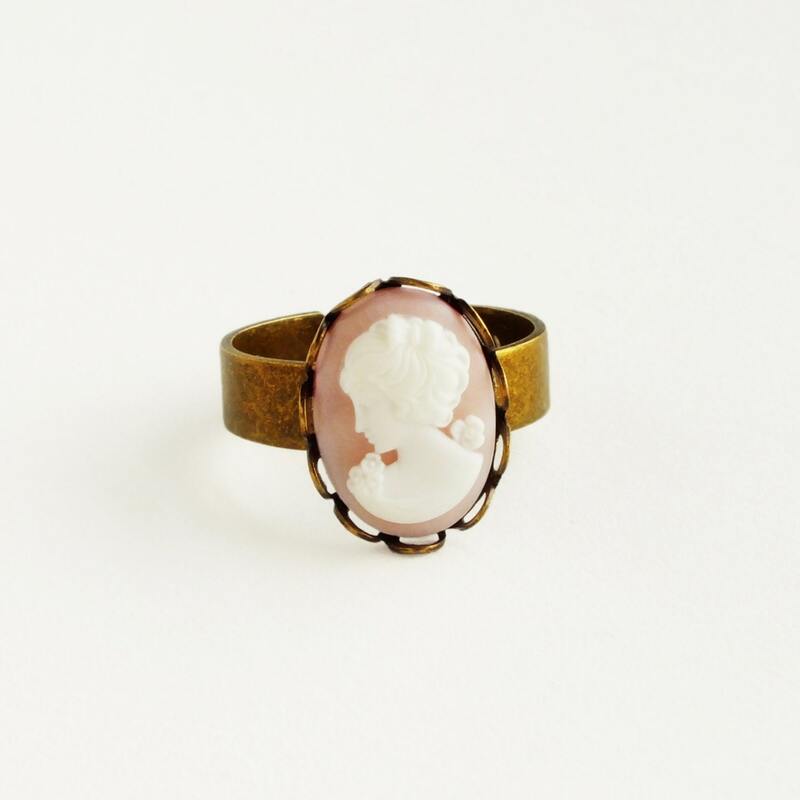 Made with a lovely genuine vintage resin cameo in a soft matte pink with a delicately detailed portrait. 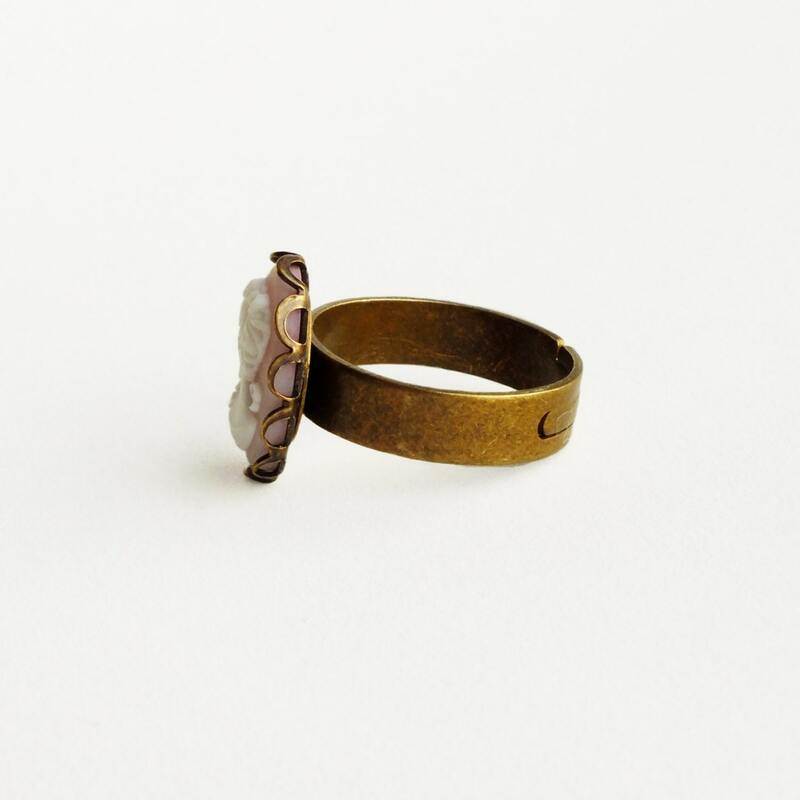 I set it an antiqued brass setting secured to a very comfortable nickel-free adjustable antique brass band.